So, what is this, you may ask? This is a bolster to convert the AtlasO 100 Ton Roller Bearing truck to Proto48, yes, but with a twist. 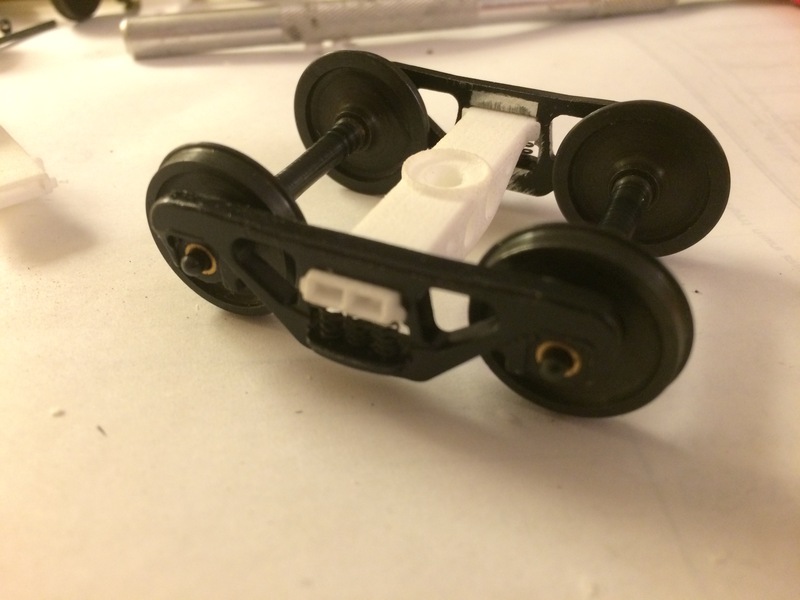 In this case, since I am converting a number of cars to my more prototypical bolster and my 3D printed 100 Ton Roller Bearing truck is essentially just a copy of the Atlas truck anyway, I figured that I would take what I already had and make it work. At this point, I have not added the bearing caps, which I will do at some point, or you can just order them separately. You could also leave off the interior spring and brake shoe detail which would leave the truck sprung. Also bear in mind that while this bolster WILL mount onto an Atlas car, the coupler height will be wrong, so you really don’t want to use this unless you are using one of my Atlas Mount car bolsters.